Thank you Sandra! Great to hear from you! That's so sweet of you! 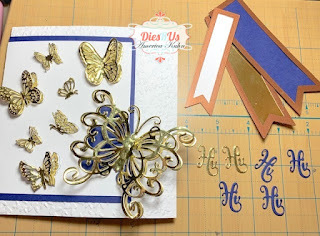 I always thought Navy and Gold were lovely together! Thank you Bunny! So great to hear from you! The golden Butterflies dies are so detailed and really look fab layered! Amazing design, America, and a gorgeous card. 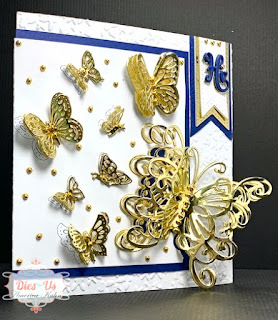 I love the beautiful golden butterflies!!! Hugs, my friend. 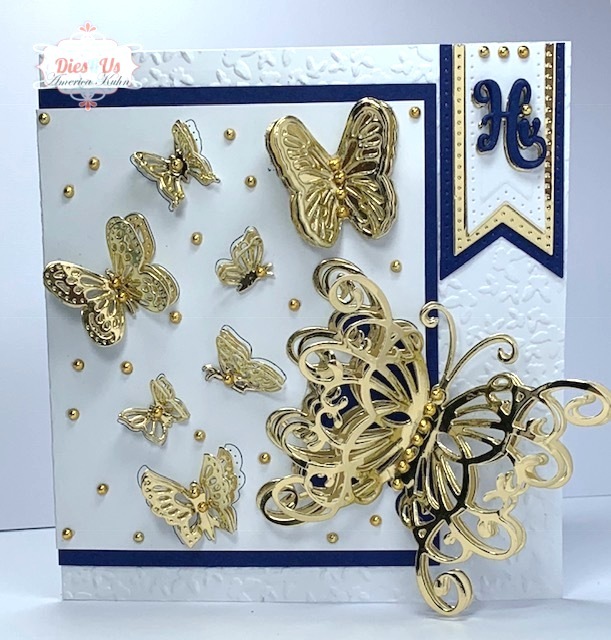 This is stunning loving the gold .Thank you for sharing with us over here today at the Classic Open Design Team Challenge and best of luck with your entry. 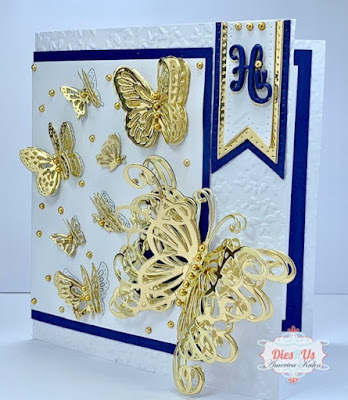 Beautiful card America! 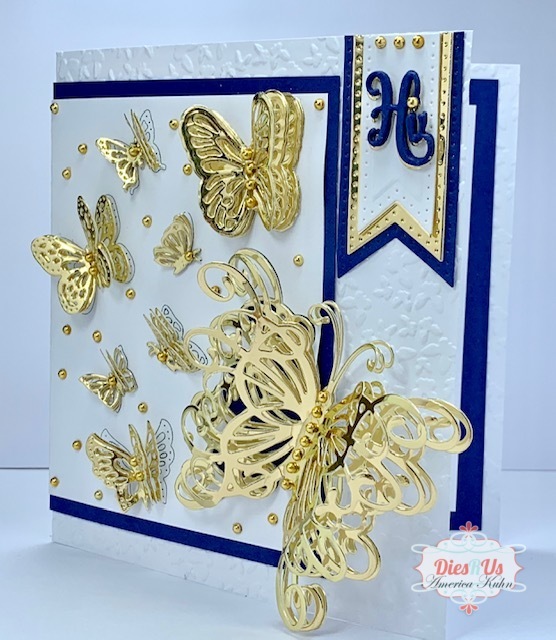 The blue and gold are a gorgeous combination and who does not love butterflies! What a beautiful creation! Love the gold and blue color combo. What a beautiful card America! 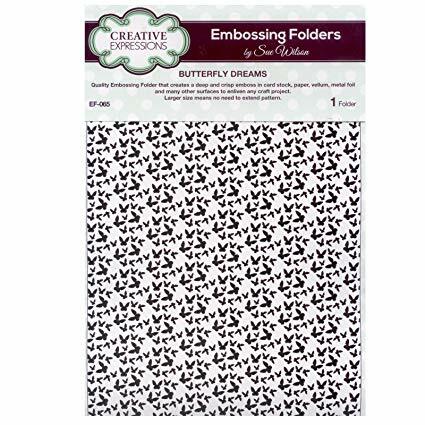 I love the butterflies and the majestic monarch is especially enhancing. Wonderful card layout too. Thanks so much for sharing with us at Crafty Cardmakers. Loving all the butterflies. 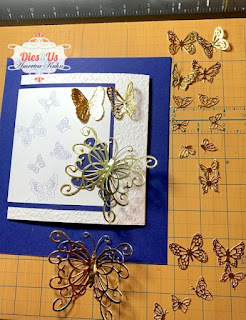 Thank you for joining the add some texture challenge at Crafty Cardmakers. You do such an amazing job with your cards. This is gorgeous. Lovely work. Thank you for sharing with us over here at World Wide Open Design Team Challenge and best of luck with your entry. 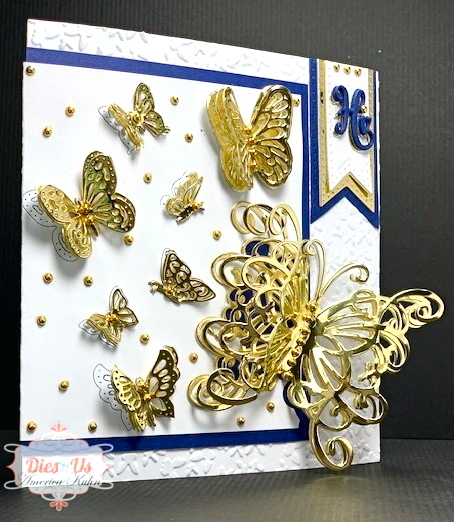 Those butterflies look like they are in flight and just landed on the card. Beautiful. 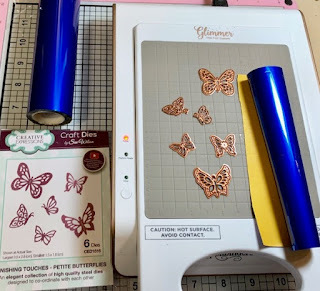 Thank you for joining in the Make It Girly challenge at Incy Wincy Designs. wow ... the butterflies are amazing. Thanks for sharing at Crafts Galore Encore Challenge. I wish you the best of luck. This is beautiful. I love the details on the butterflies. 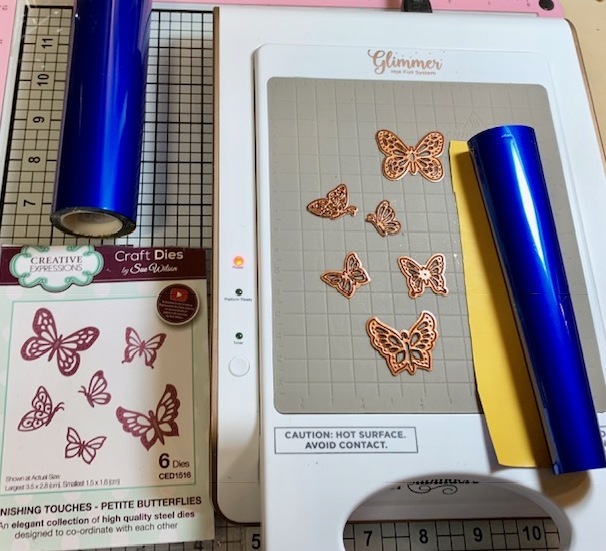 Thanks for joining the challenge at Love to Craft Challenge Blog.